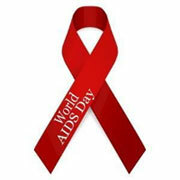 As you know that 1st Dec is world’s AIDS DAY. 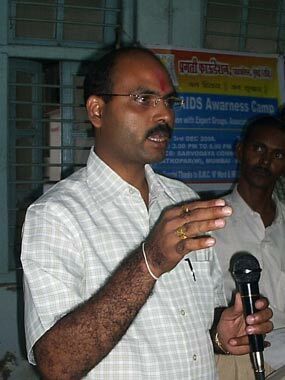 On this special day we Pragatee foundation has conducted Public Awareness camp about HIV-AIDS. We “Pragatee foundation, Mumbai” (Regd) & Maitri (An organization formed by PLHA) arrange this Campaign which was held on Sunday 3rd Dec 2006 at Sarvodaya Hospital Communication Hall, Ghatkopar(w), Mumbai – 86 between Evening 3.00 pm to 6.00 pm. Our main aim to conduct this camp was that people should get correct information about HIV-AIDS. It was very helpful to understand right and wrongs, dos and don’t about HIV-AIDS. We also called some positive cases to share their life experience in society. There were some cases, despite having positive since last few years they are living their normal life. They are working for spreading knowledge and awareness in society. We organized open discussion and question answer session in this campaign. Our expert Dr. Rupresh Mandavkar and Dr. Baba L. Meshram clear all doubts and queries of present people about HIV-AIDS. Our President Mr. Kiran s. Rane, Secretary Mr. Haresh Pagare, Trustee and Advisor Dr. Baba Meshram, Maitri’s Trustee Mrs. Roma Jana, Social Worker Mr. Prakash Patkar and other respectable citizens and also various print media representative, T.V. Media representative were present in this event. 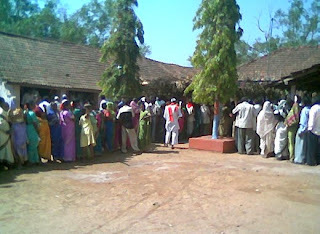 There was huge crowd to gain valuable knowledge. Pragatee foundation always tries their best to do something for society. Our mission is development of Society in Education, Social and Health. President Mr. Kiran Rane Promised that this type of events were not on special days but would arranged through out the year also. We Promise you we always care you. To educate the people about health by informing, motivating and helping people to adopt and maintain healthy practices and lifestyles. It is well known fact that the habit of chewing tobacco is increasing day by day amongst the youth. There is a need to make the community aware about the diseases which are caused by chewing tobacco. Therefore awareness activities had been undertaken by displaying charts, posters, handbill etc. The incremental risk of getting heart attacks is common to all users of tobacco. The risk is same whether one uses filter or non-filter cigarettes, beedies, pipe/cigar or chews tobacco. The risk however increases with the number of cigarettes/day smoked. Smoking 1 - 9 cigarettes increases the risk 1.5 times. 10 - 19 cigarettes/day increases the risk by 2.7 times and smoking >20 cigarettes/day increases the risk 5 folds. Within 3 years of quitting smoking the risk attributed to smoking ceases to exist. Cutting smoking prevalence in the society by even 10% is more cost effective then setting up 30 specialized hospitals. Public education to curb this habit needs promotion. 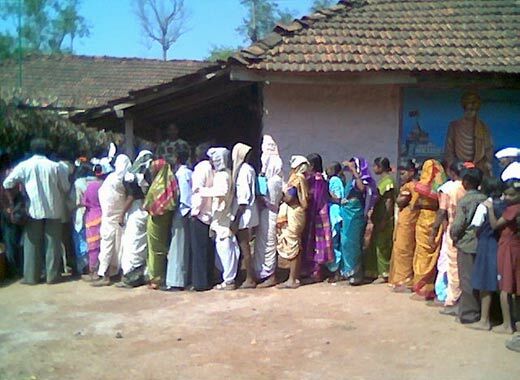 WORLD HEALTH DAY was celebrated on 7th APRIL 2006. On this particular day various health awareness lectures was conducted in various parts of Ghatkopar, Vikhroli and Kurla surrounding area. The World Health Day has been celebrated worldwide on 7th April every year for engaging the general public in discussion and debate and awareness on important health issues. On this date in 1948, the World Health Organization (WHO) was constituted. The World Health Day 2006 has been devoted to the health workforce crisis with the slogan "Working together for health. On this day around the globe, hundreds of organizations will host events to draw attention to the global health workforce crisis and celebrate the dignity and value of working for health. The Pragatee Foundation, Mumbai plans to bring this awareness and orientation programmes in the theme of together, we can make a difference. About 100 health workers from Mumbai and Thane districts are attending the seminar. PRAGATEE FOUNDATION was organized Free Eye Testing, Free Eye Surgery and Free Specs Distribution camp on Feb 9, 2006 in the Konkan region, with best compliments from Mr. Vilasrao Deshmukh, Mr. Anil Deshmukh and Mr. Narayan Rane. TIMES FOUNDATION has been joined them as an Encouraging partner. Because of Heavy schedule ministers were not present but because of lots of blessing and encouraging support we were completed this mission successfully. Refractive error, Cataract, Glaucoma, Squint, Conjunctivites, Corneal opacity, Conjunctiva xerosis, Bitot’s spot (Due to Deficiency of vitamin A) etc. In this event we invite expert and Eye specialist team of doctors to check the patient. We were distributed almost 500 specs of Rs. 100/- each and served around 300 patients for Cataract surgery which was cost almost Rs. 500/- each patient. In short we were spend almost Rs. 2,00,000/- (Two lacs only) expenditure to conduct this camp successfully. All these expenses were bared by pragatee foundation only. All treatment and specs are free to patients. Pragatee Foundation (Regd) is one of the active, fast growing and Associate member of Times Foundation Devoted in the field of social, medical and education development. This eye camp was useful to people who are suffering from eye diseases like Refractive error, Cataract, Glaucoma, Squint, Conjunctivites, Corneal opacity, Conjunctiva xerosis, Bitot’spot (due to deficiency of vitamin A) etc. 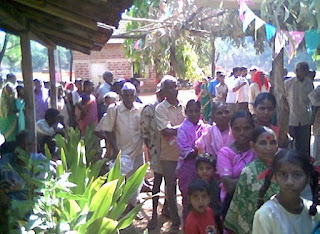 In this camp Pragatee Foundation invited expert and a team of eye specialist doctors from K.B. 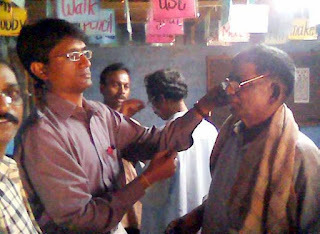 Haji Bachooali Charitable Ophthalmic & E.N.T. Hospital, Parel to check the Patients. All treatment and specs were served free of charge for the patients. Pragatee foundation made an arrangement to carry patient from village/native place to Mumbai hospital for treatment and operation purpose.